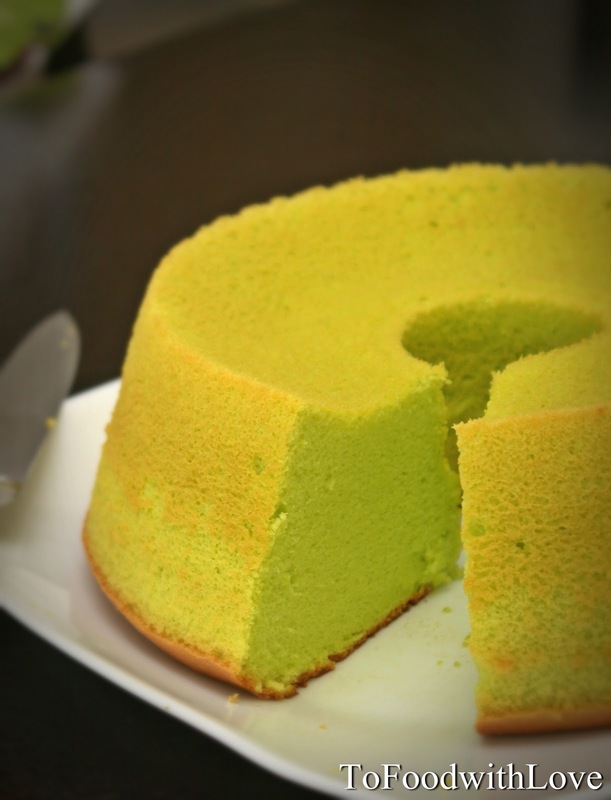 This is my first chiffon cake, and I resorted to using durian and pandan extract/paste in making it as I didn't have any pandan leaves nor durian at home. I was happy with the results and it tasted pretty good. Everything went well until I overturned the chiffon tin in order to cool the cake. I left it upside down over a placemat, and when I came back to check on it 10 minutes later, I found that the entire cake had slipped off the tin and was resting on the placemat! I'm not sure why that happened, but no real harm done, except that maybe the cake could have been "taller" and fluffier. Still soft, fragrant and delicious anyway! 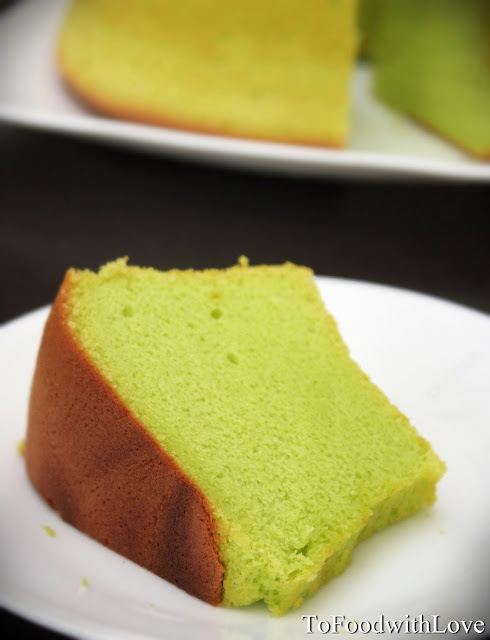 And I was surprised that even the children loved it (perhaps they find green cakes fascinating), considering that they have never had a taste or whiff of durian before!